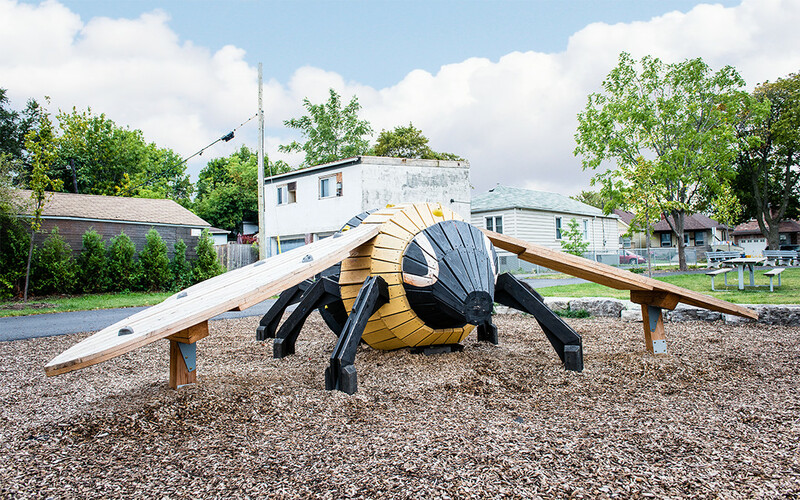 Attracted by the colourful flower-power toddler slide, this worker bee custom sculpture landed at Crown Point East park in Hamilton. 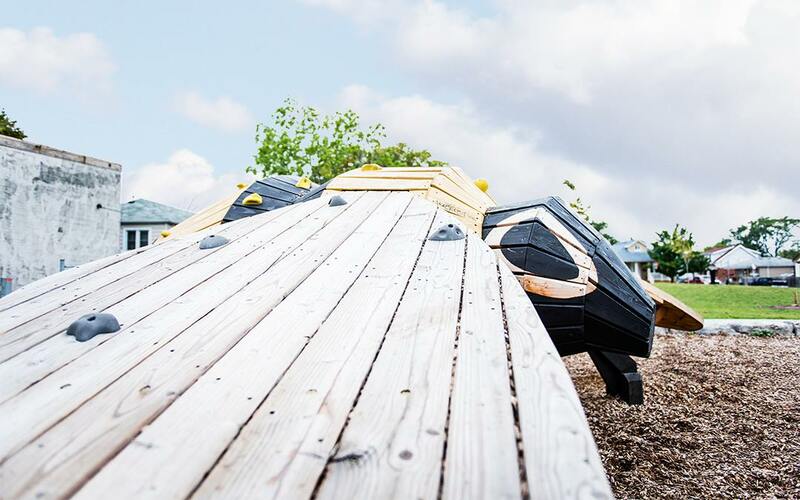 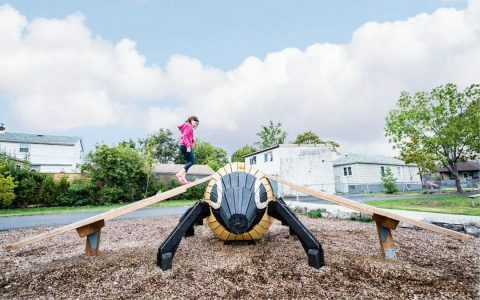 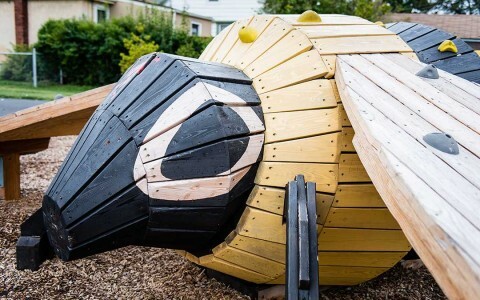 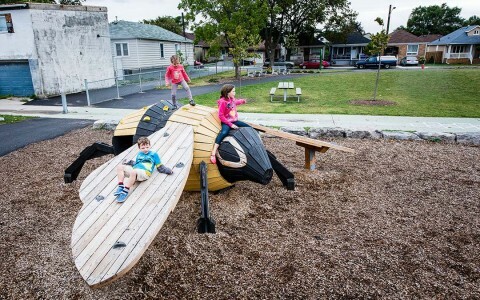 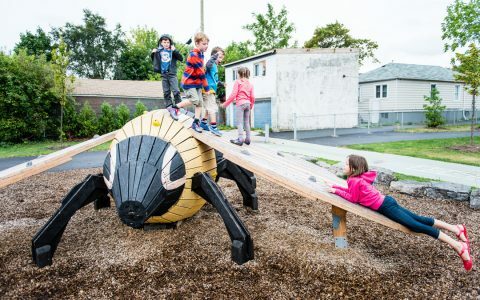 The fully climbable bee allows children the thrill and challenge of finding different routes and methods to climb atop the bee and experience the playground from a high vantage point. The double flower-power slide is intended for younger children and both are complimented by log beams and steppers to help children develop balance and coordination. 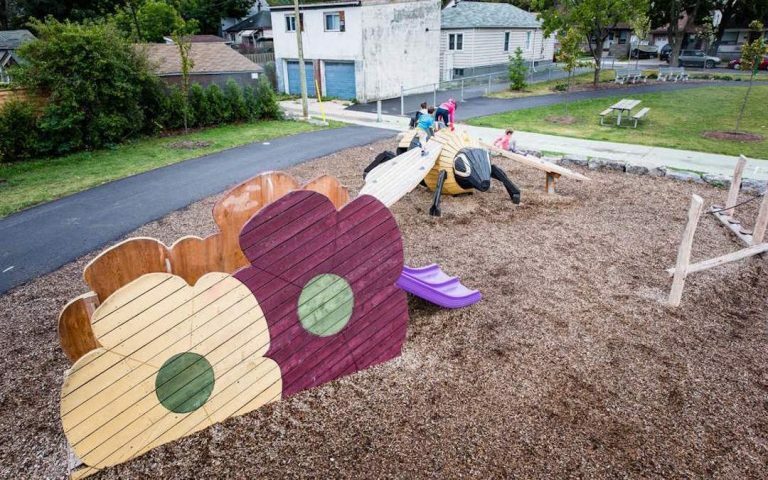 Local residents contributed to the design process ensuring the play elements are accessible for a neighbourhood child who uses a mobility aid.